Here’s a simple tech tip for better geotags in your iPhone photographs: Launch the Maps app and verify your location BEFORE taking pictures with the Camera app. You’d be surprised how inaccurate “Location Services” can be after an iPhone has been either in sleep mode or powered-off. 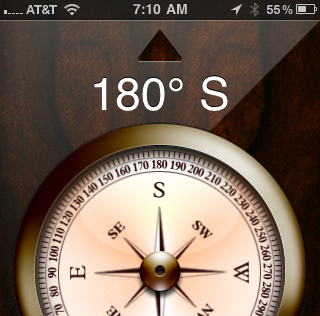 Compass app screen capture: Center; Full. Hmmm, I can’t figure out how to add multiple images to a single blog post. The Photographer’s Ephemeris app (TPE for iOS) — one of two noteworthy Apple iOS apps for planning photo shoots of the Sun and Moon — is on sale for $3.99 this weekend only. That’s right, for two days only you can buy TPE for less than the price of LightTrac ($4.99), a similar yet much less robust app. Don’t sleep on this extraordinary offer! I used 360 Panorama app to shoot the preceding geotagged panorama photo of Milway Meadows, a residential community in Fairfax County, Virginia. The same panorama photo was uploaded via Posterous app (shown below); most of the EXIF/IPTC info, including GPS Info, is missing due to a bug in Posterous app for iOS. An online interactive version of the photo simulates virtual reality, enabling you to see what I saw! Can you see where the panorama came full circle? 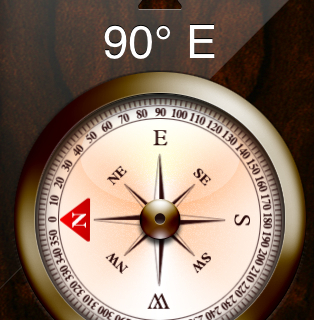 Let’s hope the developers at Occipital are able to figure out a clever solution for this glaring problem. Contrast the 360 Panorama app photo with the same scene shot using AutoStitch Panorama app. This is a test of “iBlogger 2” app. iBlogger 2 enables limited resizing and scaling of photos. You are currently browsing the walter sanford's photoblog blog archives for April, 2011.